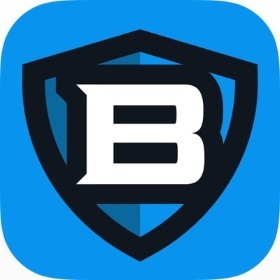 Boom Fantasy describes itself as the next generation of fantasy sports. There’s a good reason for this. The Boom Fantasy platform is quite different from what fans of other fantasy sports sites are used to. Based out of New York City, Boom Fantasy has already caused a stir in the world of daily fantasy sports. If you are looking for a new site to play at, or you’re just checking DFS play out for the first time, Boom Fantasy is worth a look. Check out our review, and then the site itself. They are a unique site in a world where all of the other DFS sites are starting to feel exactly the same. Boom Fantasy has games involving all of the major sports: football, baseball, and basketball. We have come to expect the big three sports at every single new fantasy site that pops up. What makes Boom Fantasy a little bit different isn’t that they offer more than the big three, but that they offer SO MUCH more than the big four. They offer PGA Golf, sumo wrestling, and many other sports that you may not have even considered for daily fantasy sports before. As far as contests go, Boom Fantasy does not typically have the contests that you’ve come to expect where you draft a team and select a player for each position based upon their salary. Instead, they carry what they call question contests. You will be given a series of questions and picking the correct answer to each will keep you in contention for the win. You may be surprised on what you find at Boom Fantasy. Play some Daily Fantasy Sports Tonight. Right now, contests vary in size from four questions to eight. Depending on the sport, the nature of those questions will be different. For example, in baseball, there might be a question like, “Who will have the most hits tonight?” In football, it will be more like, “Which running back will have the greatest number of yards?” You get the picture. One of the cool things about Boom Fantasy is that they have a live game element. During the games, you can still participate in contests, but they will be of a different nature. For example, you might see something like, “Will Aaron Rodgers make his next pass?” Selecting the right answer will earn you points but choosing the wrong one will lose points. The player with the highest point total at the end wins. Being successful at Boom Fantasy will obviously require a different type of strategy than you might be used to at some of the traditional DFS sites. The first place to start is to refine your knowledge of in-game statistics. A superior knowledge of statistics will help you to gain an edge over the competition. Knowing when an event is most likely to happen, and which player is most likely to make it happen will help you to gain success in comparison with a casual sports fan. There has long been a gap between the stats geek and the novice fan in fantasy sports, and Boom Fantasy will widen that gap even more. A strong knowledge of statistics will help you to adapt your calls to best fit the question that is presented to you. One of the cool things about this site is that the questions are often random in their nature. This makes it hard to prep for a specific sort of question. A strong general knowledge, and an ability to find information quickly, will be your best friend in this type of fantasy setting. Having a strong knowledge of how certain matchups and play formations will also help you in a live setting. It’s important to remember that you won’t be right all the time. You will lose these contests more often than you will win. Ensuring that your long term wins outweigh the short term losses is important for success with Boom Fantasy. Whatever strategy you end up using here, be sure to track your wins and losses over time, and not just on a day to day basis. Creating a new account with Boom Fantasy is really easy. You will need to verify your name and give the site permission to check your location. Because fantasy sports are not allowed in every single state in the U.S., this is a legal requirement on their part to make sure that they are not allowing someone to play that they shouldn’t. You will also need to verify that you are over 18 years old and give an email address. Once you do this, you will have access to the site. They will ask you to make a deposit at this point, but you don’t need to do this to gain access to the site if you want to check it out first. When you are ready to make your first deposit, you can do so through a credit card (Visa, MasterCard, Discover) or through PayPal. Depending on what’s best for you, either is fine. Just know that how you make your deposit is going to be the easiest way to make a withdrawal when you take out your earnings. Keeping this forward vision will simplify things later on for you. That’s it! Creating and using an account with Boom Fantasy only takes a few minutes, and it’s really easy to get started playing in their contests. Boom Fantasy has a decent desktop website, but their app is so much better. The current adage in web design is to focus on your mobile site first, and Boom Fantasy has taken this to the next level—they’ve focused on their app first. There are some contests that are only available if you download the app. Everything that would be available on the desktop is there, plus a lot of extra. 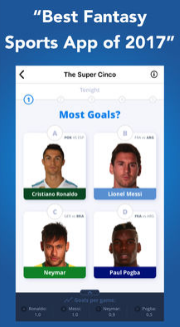 If you’re even considering using Boom Fantasy, you should download the app first. Their app is available for both iPhones and Android devices. Check out the appropriate app store for your device and download the Boom Fantasy app if you’re thinking about using the site to check it out before you make any sort of commitment. Like many other daily fantasy sports sites, Boom Fantasy has some great bonus packages. In fact, because they are one of the newer DFS sites, their bonuses are some of the best that you will find right now. This is helpful to them because it attracts new customers, and it’s helpful to you because it’s more beneficial to you from a monetary point of view. If you make a deposit between $10 and $99, you will receive a 100 percent bonus. Depositing $100 or more gives you access to bigger rewards. You earn a 100 percent bonus of up to $200, plus $10 in free play tickets. If you’re able to deposit $200 safely, that’s the best way to go when creating an account with Boom Fantasy so that you can max out your potential for free cash. Now, it’s important to know that you can’t just deposit your money and then withdraw it plus your bonus cash. Your bonus money can be used in contests, but it cannot be unlocked for withdrawal until certain requirements have been met. Bonus cash is unlocked in stages of 3 percent of what you play, in $5 increments. So, if you play in $100 worth of contests, then $3 is unlocked, but because this isn’t $5, then none of your bonus cash is available yet for withdrawal. At $150 in play, 3 percent stands at $5.50, so you would have $5 unlocked for withdrawal from your account. You can still play with the locked money, you just cannot withdraw it. All unlocked bonus cash expires within 90 days of your first deposit. If you don’t unlock your cash within 90 days, it disappears. While this might seem like a negative thing, it is a common practice in the daily fantasy sports world. Boom Fantasy presents a new way to enjoy fantasy sports. This in itself is an awesome thing. Although the structures of many other DFS sites are well liked, they can become repetitive. A lot of these sites have experimented with other ways to play fantasy contests, but none have really been met with much success. Boom Fantasy’s method of play is unique, and that helps it to stand out, even amongst some of the huge name competitors in the field. Boom Fantasy also has a bigger than average bonus structure. This might go away as the site gains some traction, but for now, this alone is a good reason to check the site out. Big bonuses are good, especially if they can help to augment your winnings over the long run. Another good thing about Boom Fantasy is the fact that it has already received stellar reviews. It’s not often that a new site comes out that can gain the approval of major media outlets, but that’s just what Boom Fantasy has done. They have already secured a pretty strong reputation. This has led to a sudden burst in their popularity, and is one of the reasons why we recommend their services. Finally, Boom Fantasy offers VIP Rewards through their VIP Store. Here, you can use VIP points to gain free entry into tournaments and get Boom Fantasy swag, like T-shirts and bottle openers. You can even enter for a free trip to the Super Bowl. These things might not seem like a huge deal, but it’s important that they be acknowledged. This is how DFS sites reward their loyal customers. It’s one thing to get a bonus for joining a site, but you want to know that your business is appreciated over the long term, too. VIP Rewards allow you to cash in on your loyalty to the site. The most glaring negative of Boom Fantasy is the fact that they are brand new. Some fantasy sites have been around for more than five years and have only grown in reputation since then. Boom Fantasy is fighting an uphill battle against the sites that have already established a strong reputation for longevity. Another negative is that the high variance nature of live game play can create unexpected swings in your bankroll. In fantasy sports in general, you will deal with the occasional winning and losing streak, but because of the way that Boom Fantasy is structured, these streaks are likely to be a lot more pronounced for the skilled fantasy manager. A large enough bankroll and time will smooth this out, but for some this will be frustrating. Being aware of this before you begin will make it a lot easier to cope with, which is why we include that potential situation here. And last of all, it’s not necessarily a good thing that contests are smaller at Boom Fantasy. At a major DFS site, you will see that there are frequent contests with 1,000 or more people entered. At Boom Fantasy, you will never see a contest with more than a handful of people entered, comparatively. Again, the structure of their contests necessitates this. Being aware of it before hand will make it more manageable but depending on your strengths and weaknesses as a sports fan and your knowledge of fantasy sports, this could be a potential downfall for you. Boom Fantasy is going to cause a stir in the world of daily fantasy sports in the coming months. They have a very unique contests structure, and they have already begun to gain a strong reputation for themselves. The current popularity of live betting will help Boom Fantasy to grow quickly, especially now that they have found a sustainable way to bring this into the DFS world. Whether Boom Fantasy is the right place for you to play depends on your personal situation, preferences, and strengths as a sports fan. They certainly have a lot to offer. Hopefully, our Boom Fantasy review has helped to answer some of the questions that you might have. If there’s more you’d like to know about the site before committing, be sure to head over to the Boom Fantasy website to check them out for yourself.